This product is not currently linked to any specific medical conditions. 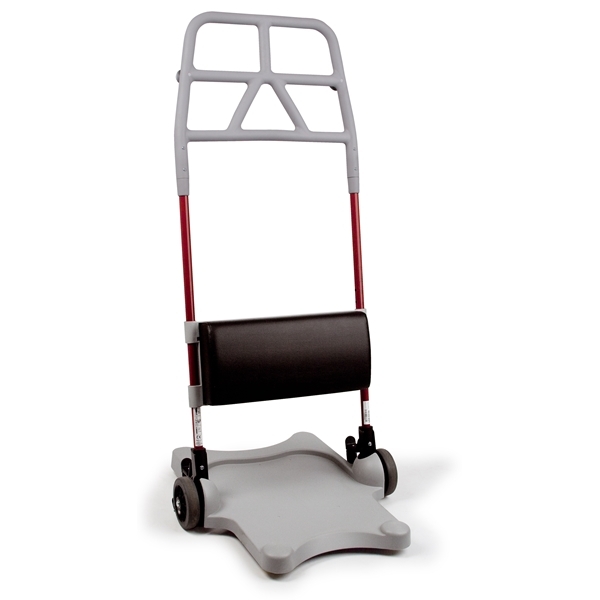 Molift Raiser platform is designed to safely move the user from a sitting to standing position while maintaining the best possible ergonomic moving and handling conditions for the caregiver. The unique leg support is designed to be easily adjusted with one hand. Similarly, wheel locks (right or left) will lock both wheels simultaneously providing a safe braking solution in space limited environments. The fine grain finish of the footplate provides a non-slip surface and the handle offers many different grip possibilities. The Molift Raiser is suitable for use with a single carer and our User Guide has been updated to reflect this. These features enable the user to feel safe throughout the entire transfer.